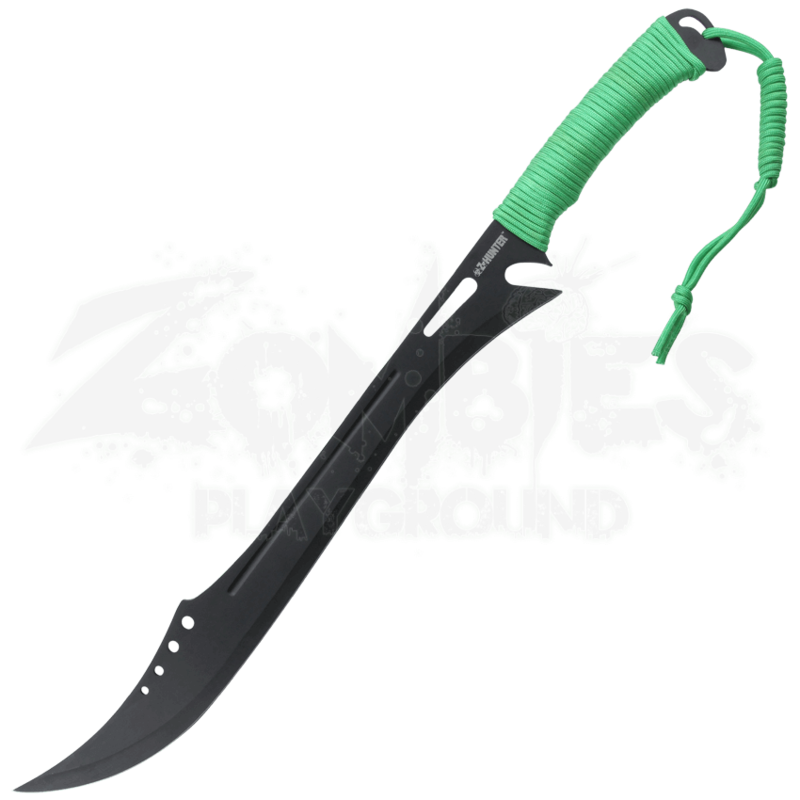 For cutting through a horde of zombies, you cannot do much better than the Zombie Hunter Scimitar Machete. Its heavy-ended stainless steel blade ensures that chopping and slicing with force has never been easier. The blood groove and faux guard will help you avoid all of those toxic zombie juices. The cord wrapped handle makes the zombie machete easy to grip, and the lanyard loop pommel makes it hard to lose. 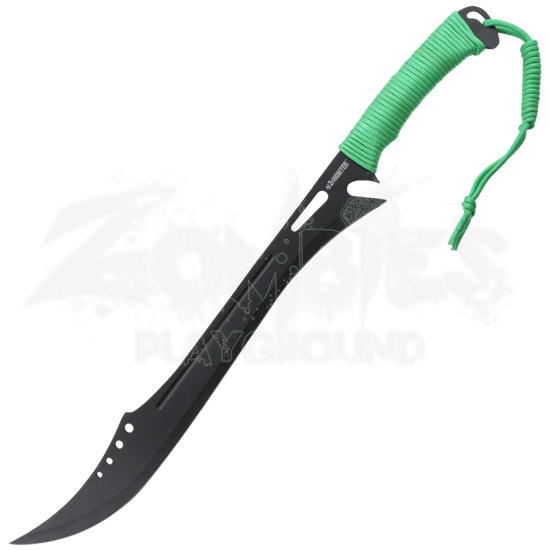 Get a great blade for zombie offence and defense with the Zombie Hunter Scimitar Machete.